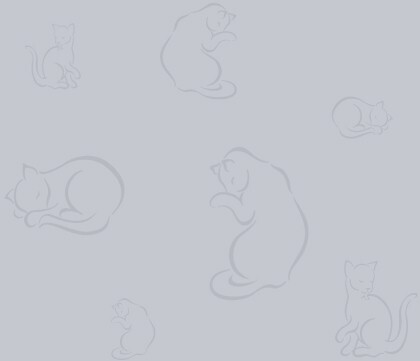 This is Chauncey. 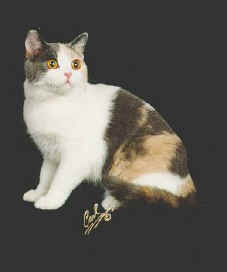 She is a Grand Champion dilute calico female, born 1/26/94. Chauncey was one of our original foundation queens and was recently retired from our breeding program. 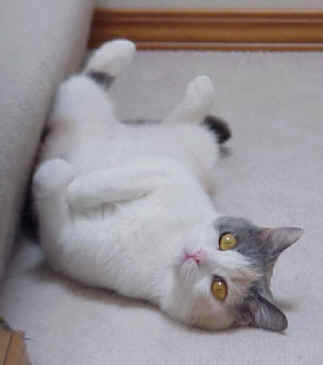 She has blessed us with many beautiful kittens that have sweet, loving temperaments and loud purrboxes! Chauncey had some difficulties with her most recent litter, and after much soul searching, we decided it would be best for Chauncey to be spayed. Despite her loving and gentle disposition with people, she is not happy being one of the gang with our other cats. So we have had to make the difficult decision to part with Chauncey. Chauncey has found her ideal new family, and now lives in Pullman, Washington, which is on the Eastern side of our home state. 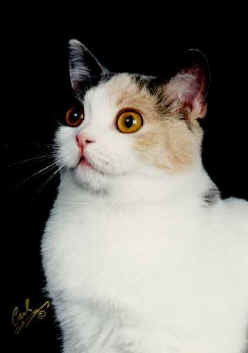 Before she went to her new home, though, she had the distinct honor of earning the title of Distinguished Merit (DM). 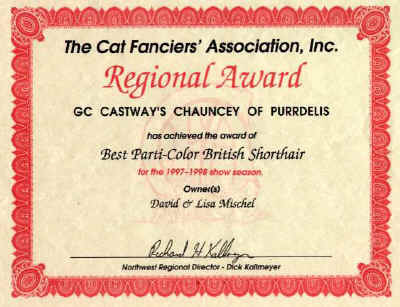 What this means is that Chauncey produced five offspring which either became Grand Champions or Grand Premiers. 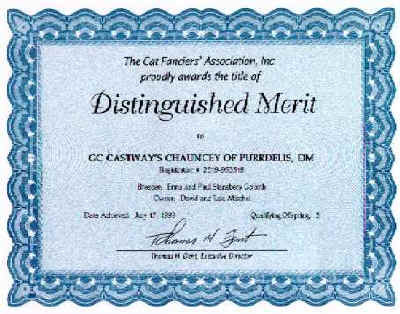 In August, 1999, Chauncey earned the title of Distinguished Merit.